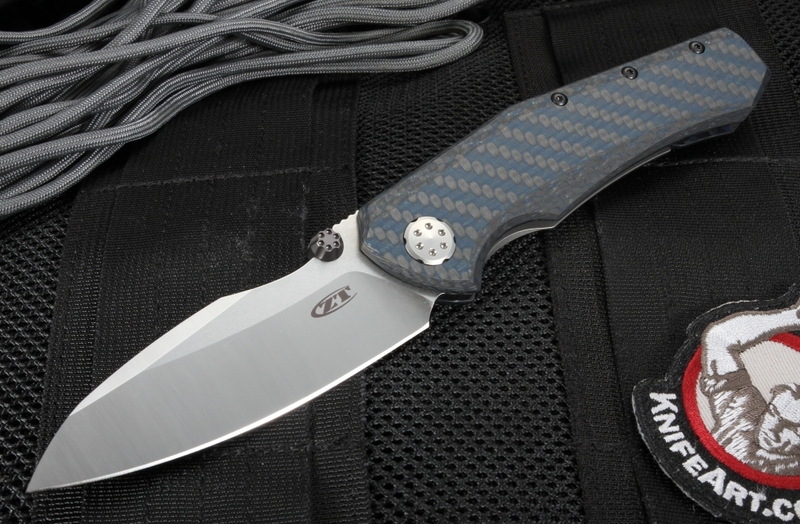 After collaborating on a custom creation, Dmitry Sinkevich and Todd Rexford came up with a similar design at the request of the ZT team. These renown knife designers created a production model that offers an outstanding utility while utilizing modern design. 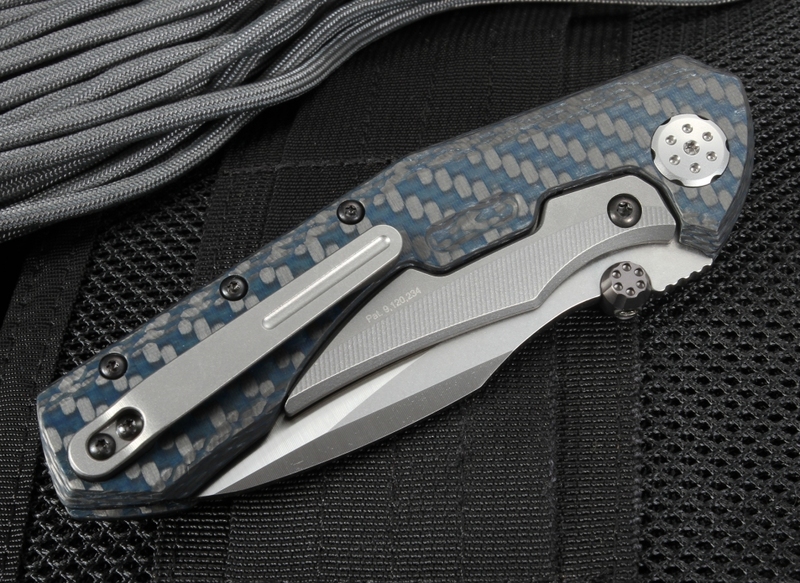 The mid-sized folding knife is manually operated and features many innovative designs. The blade is a two-tone stonewash and satin finish made from CPM-20CV stainless steel for clean, smooth cuts. With an overall weight of 4.3 oz. and a length of 3.75 inches, the modified wharncliff style blade makes it a great choice for a wide range of cutting tasks. This blade slides easily into the sub-frame locking mechanism for secure carrying. The 0.156-inch thickness folds easily and retains its edge for longer use. 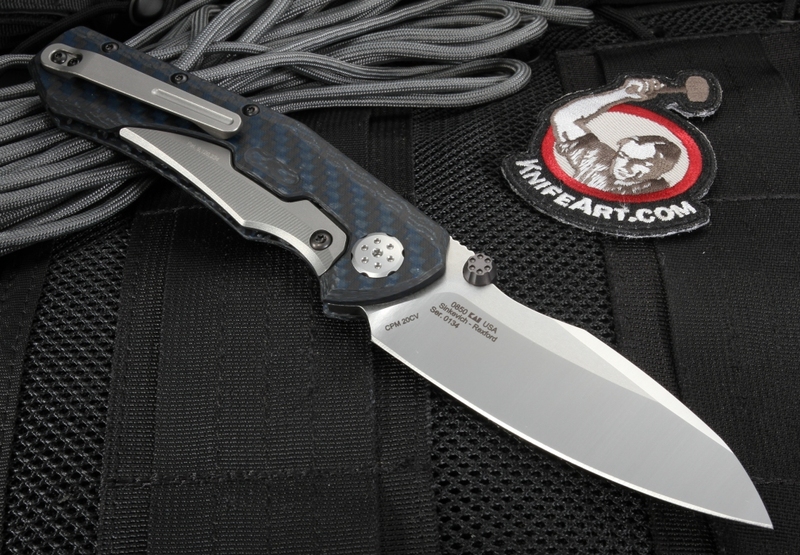 The overall length is 8.70 inches and the blade folds into a handle made of blue weave carbon fiber composite with a titanium lock. 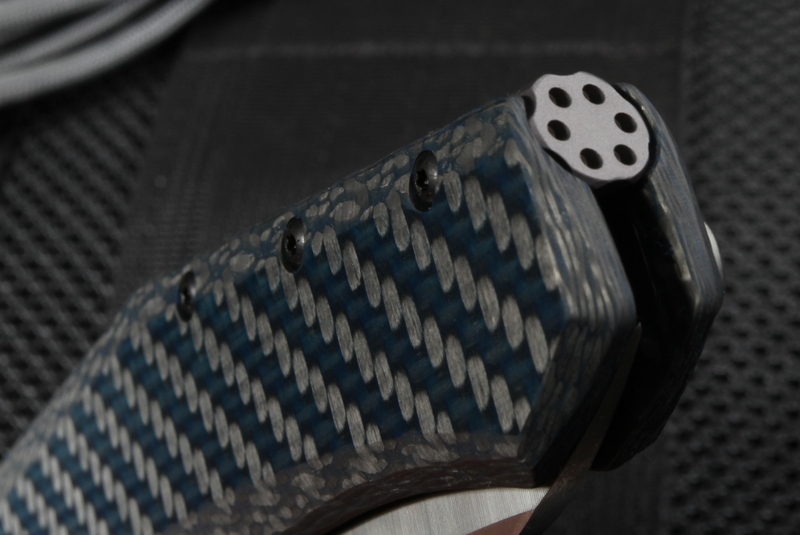 The carbon fiber has added blue fiberglass woven into the material that adds the deep blue color. 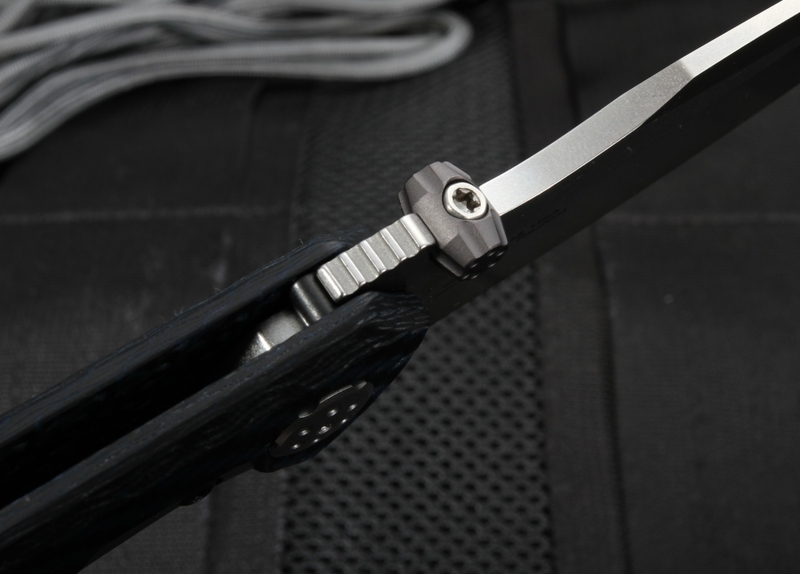 A key feature of the handle is the sub-frame lock construction, both sides of the handle are made of carbon fiber with an inlaid titanium lock bar; this reduces the weight while not compromising lock strength. When closed, this knife is a mere 4.95 inches, fitting snuggly into any pocket and securing with a titanium clip. The blade opens with a blasted full machined thumb lug complemented by a machined, turned backspacer that adds beauty to this work of art. Both the thumb lug and the spacer share the same design. 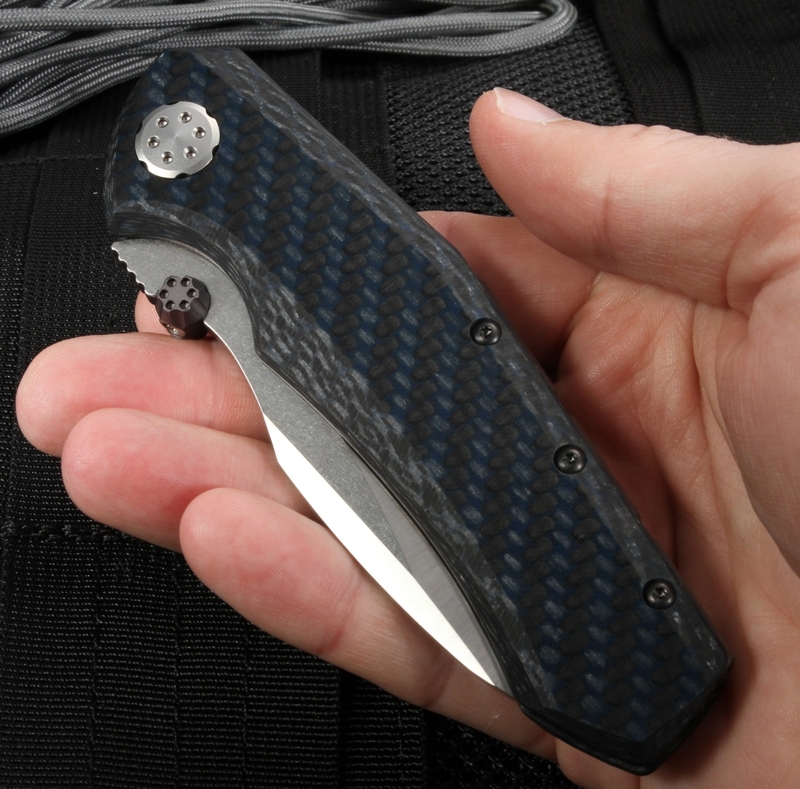 The handle provides carbon fiber strength with a colorful finish and the black Teflon-coated hardware makes the Zero Tolerance 0850 a must have for someone that appreciates a fine cutting tool. 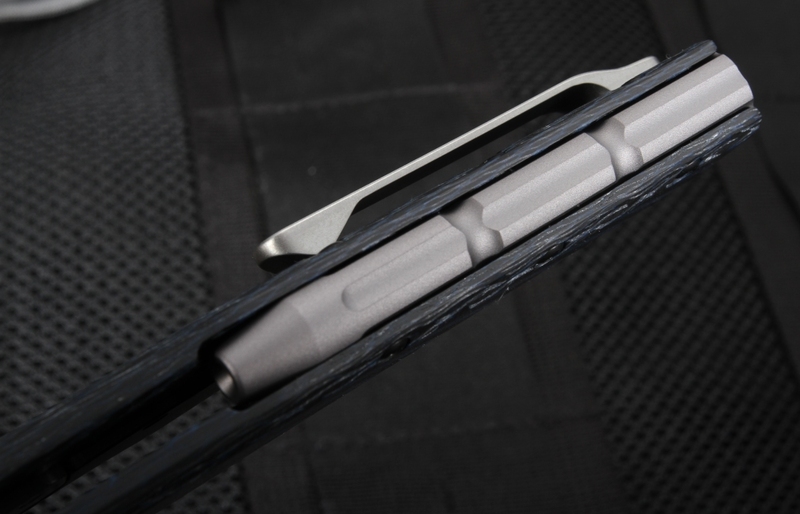 Zero Tolerance added their patent sub-frame lock to the beautifully crafted masterpiece making it a unique production model. Designed, crafted and produced in the USA, this American-made masterpiece is available through authorized dealers. Free shipping inside the US and a no-hassle return policy makes obtaining this piece of art quick and easy. I buy a knife when it catches my eye, the shape of the blade, the handle, etc. This only happens about once a year or so, this knife was one of them. Amazing feeling and action, handles perfectly and feels well balanced. My new favorite knife. 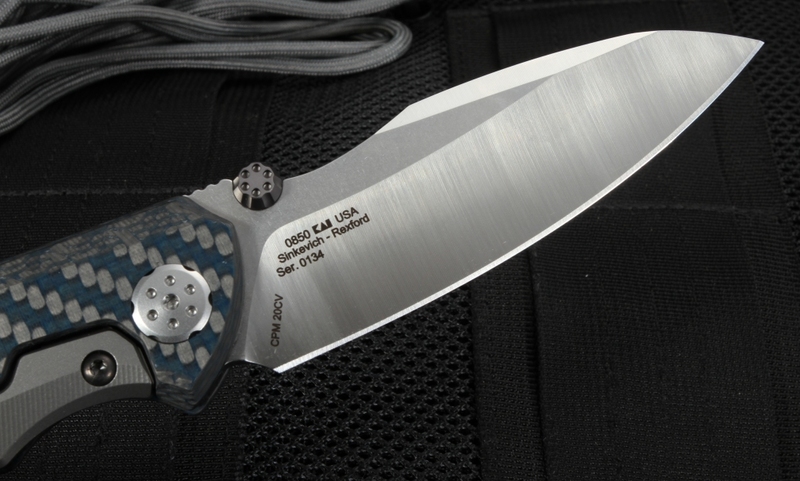 The two most striking things about this knife is the "six" gun barrel spacer and the inlayed lock. The knife is very light and is a smooth opener. Rexford and Sinkevich have a winner on their hands. Very fast shipment.